The LUNA headset is made with lightweight and durable material. 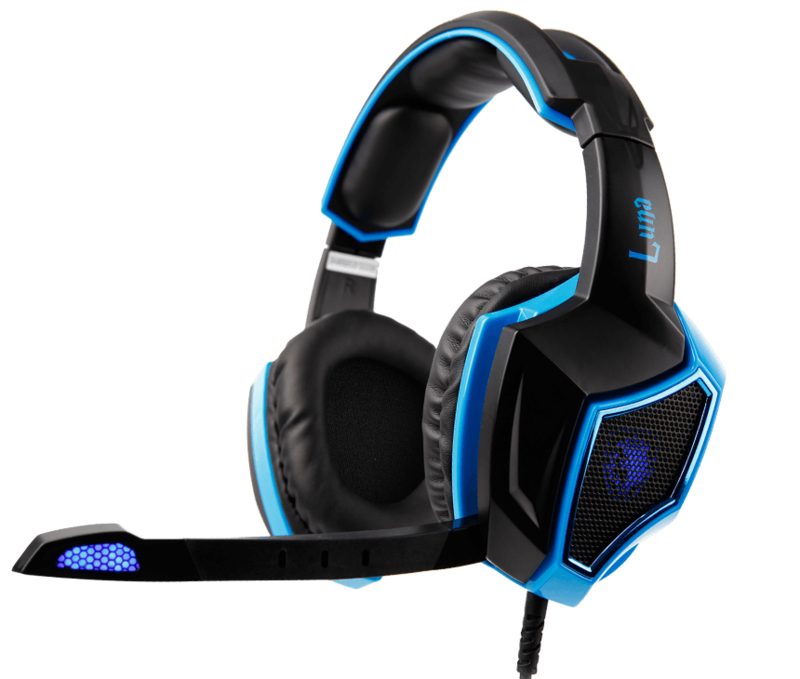 With the soft-leather padded ear muffs and headband, LUNA headset is comfortable to wear during games. With the multifunctional in-line controller, it is easy to adjust the volume, microphone / audio mute and LED lighting mode ( constant lighting and breathy rhythm lighting ). The anti-twist long cable protects you from hurry when wearing headset in games. And the invisible and flexible microphone is convenient to hide when not in use.